Love pumpkin pie? 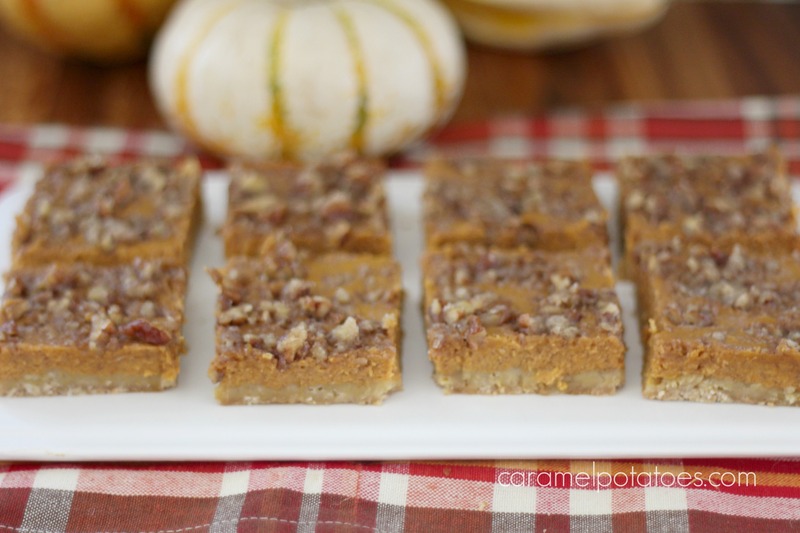 Your going to love these Pumpkin Pie Bars – all the same great flavor in an easy-to-make bar! A simple oat crust is topped with the same great pumpkin pie filling and then topped off with brown sugar and pecans! 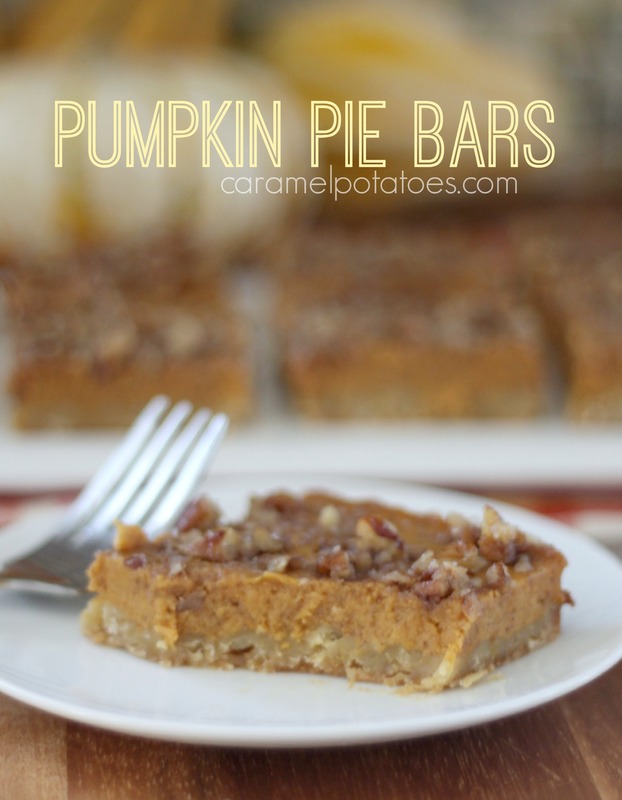 I saw these yummy bars at Taste and Tell and knew they would be perfect for holiday parties. Combine the flour, oats, and ½ cup brown sugar. Cut in the butter using a fork or pastry cutter until the mixture looks like coarse meal. I like to put it all in my stand mixer and let it mix for a minute or two until it is completely combined and it looks crumbly. Press the mixture into an ungreased 9×13-inch baking dish. Bake in the preheated oven for 15 minutes. Meanwhile, combine the pumpkin, evaporated milk, eggs, sugar, cinnamon, salt, ginger and cloves and mix until blended completely. When the crust is done, pour the filling mixture over the crust and continue to bake for 20 minutes. In a small bowl, combine the brown sugar and butter. Use a fork to cut the butter into the sugar. It won’t turn into coarse crumbs like it did in for the crust, but the brown sugar will start to appear to be really moist and soft. Stir in the pecans. Sprinkle evenly over the top of the filling. Return the pan to the oven and bake an additional 20 minutes, or until the filling is just set. Remove from the oven and cool completely. Refrigerate until completely cooled. Once cool, cut into squares. 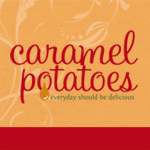 Follow caramel’s board Brownies and Bars on Pinterest.